Alta Ribagorça is a Pyrenean region divided into three municipalities: El Pont de Suert, la Vall de Boí i Vilaller. These three areas share the same traits as high mountain territories: high peak and valleys, fast-flowing rivers and lakes, meadows and forests, Romanesque art and traditions, natural products and good cuisine, ski and adventure sports, … Alta Ribagorça is definitely a region that has been able to preserve the very best of its heritage throughout the centuries and to become a really special destination for the visitors. All this is reinforced by a wide offer of activities, services, hotels, restaurants and accommodations. 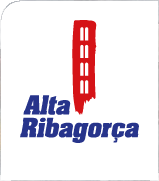 Whatever the season, Alta Ribagorça is an ideal place to discover the genuine Pyrenees.